I instantly recognized the world-view I’d had at the age of four. I went to Sunday School, of course, but knew that Santa Claus was the man with the mojo – the go-to guy. I watched the movie for a while. It was interspersed with commercials designed to lure me to the parking lots at 4:00am on Black Friday – and tried to remember certain art history lectures I’d heard at this time of year. “The iconography of Christmas,” that kind of thing. I remembered that the Puritans outlawed the celebration of Christmas, while in early 19th century New York, Christmas tended to be a drunken revel. Wealthier citizens would find themselves terrorized by the rabble – kind of trick-or-treat with an edge – give us money or else. I recalled that the well-to-do seized the “Night Before Christmas,” to attempt to transform the holiday – to get some of those energetic revelers into the stores. Christmas was illegal in Boston from 1659-1681. Anyone “exhibiting the Christmas spirit” was fined five shillings. Congress and everyone else worked on Christmas Day, 1789, the first one celebrated in the new American nation. The New York City police force was formed in 1828, in response to a Christmas riot. 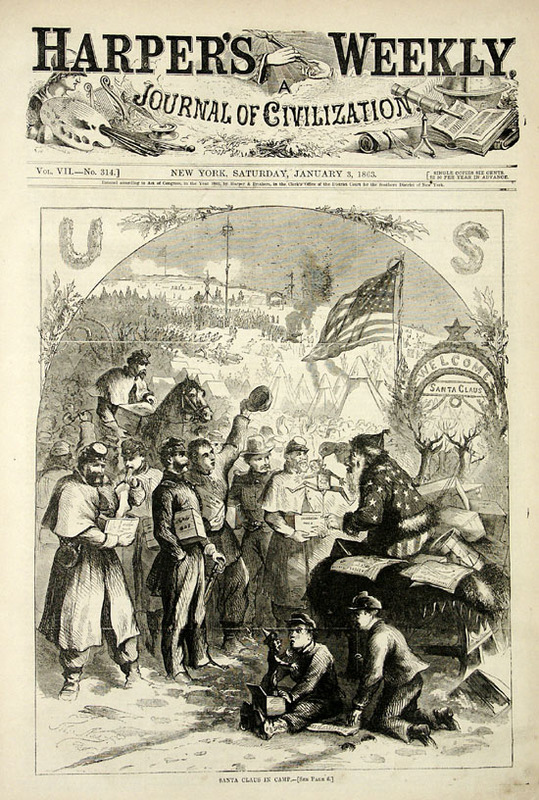 After the civil war, children’s picture books and women’s magazines had a large role in transforming the holiday into something we would now recognize. Christmas was finally declared a United States holiday on June 26, 1870. Tammie explained to me early on about life in Frisco, that fake is okay here. And I think that’s a theme running through the book, fake is okay. If you’re going to ever fall in love with Christmas again, you have to embrace the fact that fake is okay here, no matter where you are. [Christmas is] a half-trillion-dollar event in our lives. It steamrolls everything…so I wanted to go to one of those new fangled 21st century American places that are built around malls and box stores and big houses and big churches…demographics led me to Frisco. It’s clear listening to the interview that Stuever isn’t there to make fun of anyone. He expressed gratitude several times to those who invited him to shop with them, decorate with them, and celebrate in their homes. He speaks with admiration of the single mother who tries to provide a nice Christmas for her three children with $1200 total, in a town where as many as 50,000 lights are part of home lighting displays. She struggles really hard to always remain positive, which I think makes her emblematic of a lot of Americans who just, you know, come what may, we’re always told to make ourselves happier and be positive. And Christmas is really a freight train coming full of that, you know…there’s something wrong with you if you’re not happy at Christmastime. Steuver, who writes about popular culture for the Washinton Post, doesn’t wind up too sanguine about Christmas. I wrote about Christmas because Christmas sort of freaks me out, like it’s so big and people have so much expectation heaped upon it that they can only come out of it with a smidgeon of melancholy amid all that joy. It’s the dark time of year. The traditional time for sitting by the fire and telling stories. Reflecting. Hoping for renewal and the return of the sun as another year passes (where did the time go?). Hoping for warmth and belonging, connecting with friends and family, our hearts full of the memory of and hope of Christmas peace: hot cocoa around the fire, under the tree. Mistletoe. The star of Bethlehem, Currier and Ives prints, the Christmas we got that brand new bike as a kid. It’s probably a good thing I cannot find my copy of King of Morning, Queen of Day, a fantasy novel by Ian McDonald, which contains the funniest and most scathing single page on Christmas that I’ve ever read. As in how will “Jingle Bell Rock,” or the Beach Boys’ “Little Saint Nick,” strike you in the stores four weeks from now? This entry was posted in Holidays and Festivals and tagged holidays, Myth. Bookmark the permalink. 2 Responses to “Tinsel,” by Hank Stuever, and other Christmas musings. This is wonderful, Morgan. It gave me so much interesting information I had no idea about and reminded me of my favorite Christmas stories, music, etc. If you’ve never read Bless Me, Ultima by Rudolfo Anaya, it has the funniest chapter on Christmas I’ve ever read. Every bit of it is a brilliant piece of writing, but the school Christmas pageant is the crowning jewel of the book. Thanks for this fascinating post.